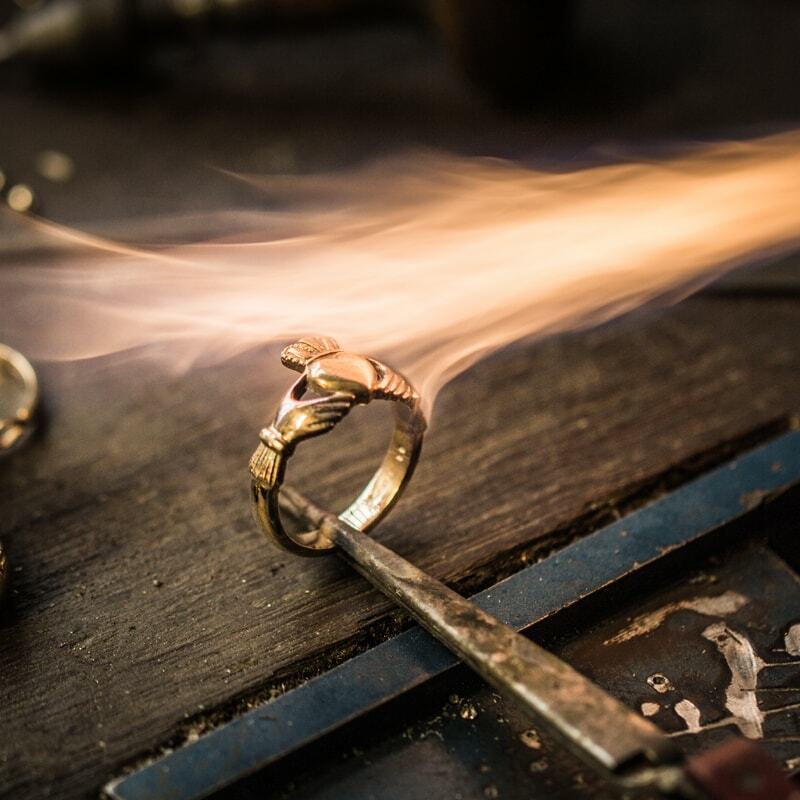 Not all Claddagh Rings are created equally. 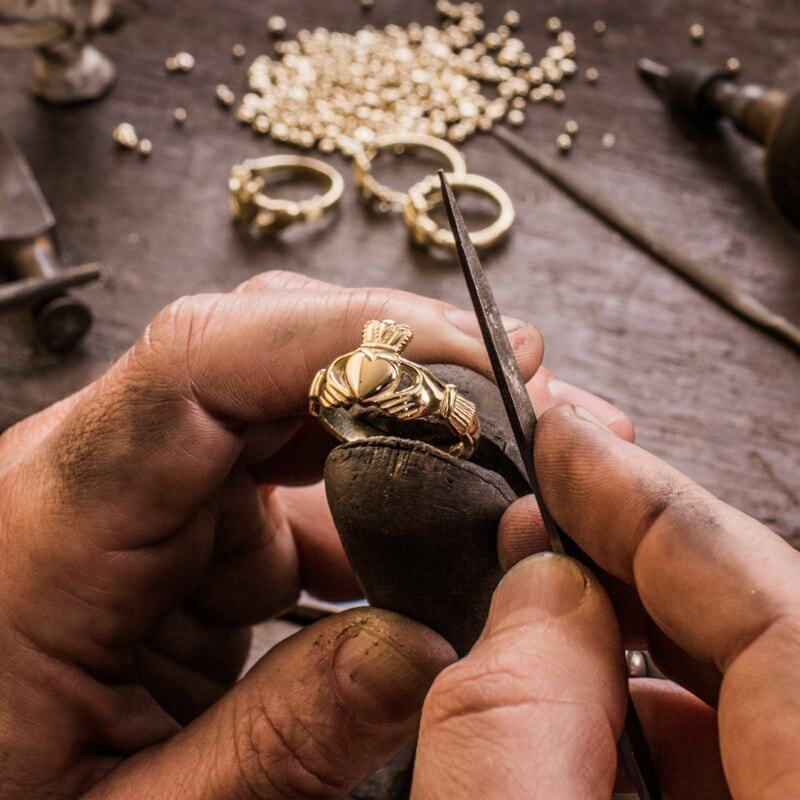 It takes special skill and craftsmanship to create an authentic Claddagh Ring. 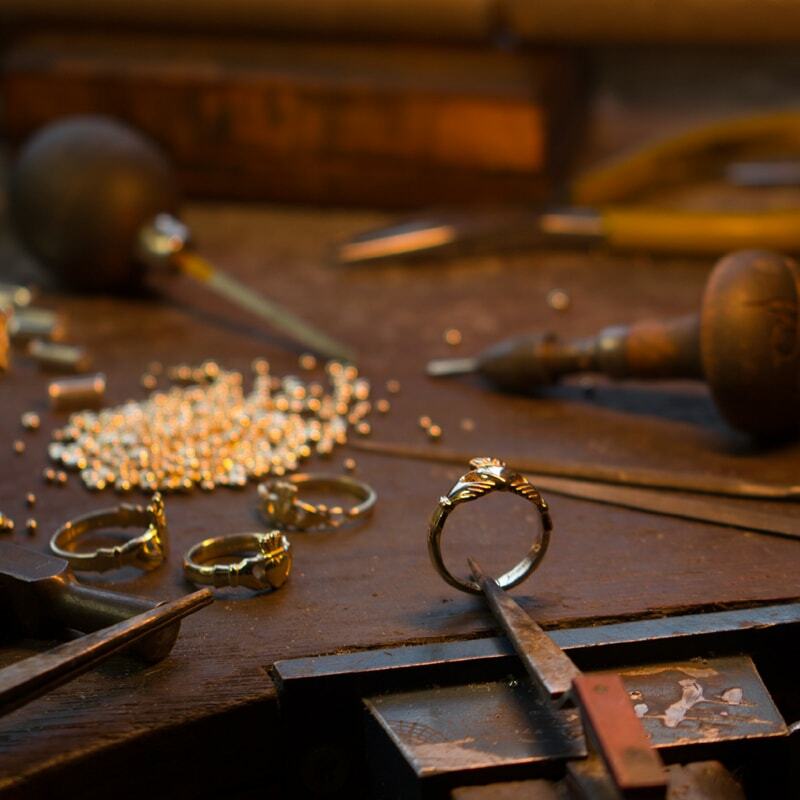 Come see how a Claddagh Ring is made on the premises in our little traditional thatched Claddagh cottage, where a jeweller is busy creating authentic Claddagh Rings. Claddagh rings that will no doubt become part of another love story. The Claddagh ring is made up of three symbols. A heart, hands and a crown – symbolizing love, loyalty and friendship.